Each Sunday in both the Sanctuary and the Community Life Center, we GATHER to worship our great God through music, prayer, Scripture and Holy Communion. 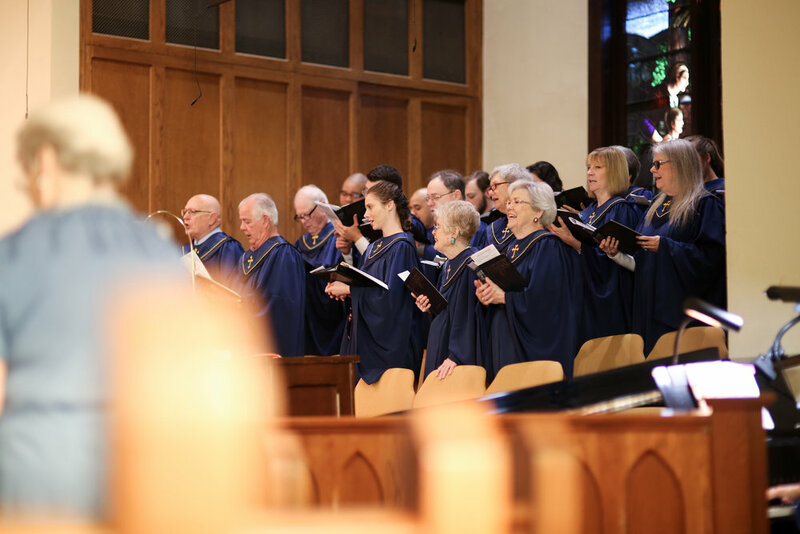 Our worship services are at 8:30, 9:45 and 11 AM and have added an online live streaming worship experience and take worship to the residents of Creekside Methodist Retirement Community and The Lexington, once a month. We GATHER for feasting and fellowship through our 5th Sunday potluck lunches and make meaningful connections and lifelong friendships that encourage a life of faith.